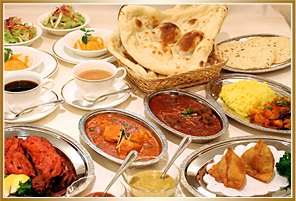 India is famous for it's exotic cuisine prepared with artful and exquisite combination of spices. 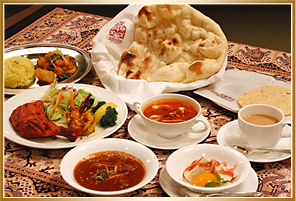 Ashoka Restaurants in Osaka＆Kyoto, have been serving great Indian food for over three decades. 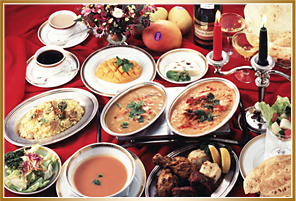 Ashoka offers an intimate dinning room, have full fledged bar, and a unique ambience showing Indian culture.Our restaurant is beautifully decorated with antique paintings/carvings that display traditional Indian culture and craft. We use carefully selected healthy ingredients. 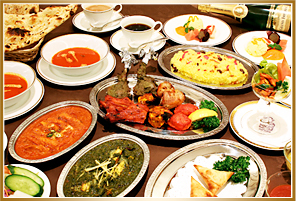 Extracting the nutritional and medicinal juices of the spices and herbs, which nourishes each dish on our menu. 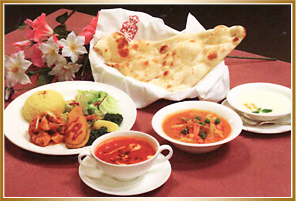 The extensive menu includes main choices: Sea food, Poultry, Lamb and variety of Vegetarian dishes. 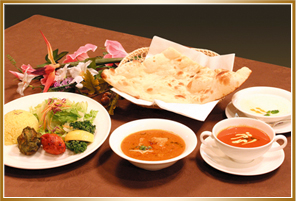 The Ashoka is perfect place to relax and enjoy excellent food, and friendly service. 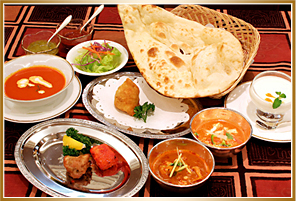 Bring your family and friends to experience India without leaving Japan. Spinach and home made cottage cheese cooked with spices. CopyRight(C) ashoka All Right Rerved.